barquillos, hostias, OCast canutillos de suplicaciones, suplicaciones, OCat neules, nelles, Cat nuela, MEng obleys, wafrouns, nelles, nueles, hosties, cialdone, cublies, warfurs, waftron, waste, Eng obleys, wafers used for communion or as sweets like cookies. It appears that the word obleys came into existence from the Greek word meaning a sacrificial cake to the gods. 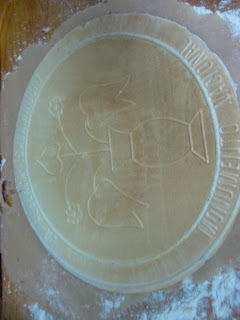 With Christianity it came to be either daily bread or with time a special bread to represent the body of Christ. After the Norman invasions the Dutch word wafel, corrupted to wafer came to replace the Middle English word, while the Spanish equivalent was corrupted with deviations. Some are defined as nueles, flat round cakes, without yeast and others are described as being rectangles like clothes covering coffins. Later, they were rolled like barquillos (little boats or cigars) while still warm from the irons or oven as those prescribed by the physician for Sancho Panza in Don Quixote called canutillos de suplicaciones, later day barquillos to improve his health. Whether obleys or wafers, etc they consist of a thin batter made with unleavened flour and water and browned in irons or baked. The first known recipe in England was published in the Harleian S 279, thought to be from about 1430 in which P. Troy believes the recipe calls for a gelatin extracted from pike and a soft cheese added to the usual batter of flour, egg whites (or whole eggs or orange or rose water) and flavored with sugar and ginger. Other flavorings could be anise seeds, lemon peel and today vanilla. Sent Soví uses obleys in pigeon soppes and in a Lenten dish of fish and leeks. In Forme of Curye, they are used with rabbit if lasagna noodles are not available. When not in stews or soppes, wafers could be sprinkled with cinnamon and sugar, covered with jam and topped with another wafer as macaroons (Sp alforjas). They could serve as the bottoms of tarts, turron, or marzipan as Nola describes. There were several ways of preparing them and ingredients vary. Constable Miguel Lucas Iranzo offered them as a snack to Henry IV of Castile during Lent of 1464 (when egg consumption was prohibited) with fruit, wine, bread and preserves. Sass explains that traditionally they were served with hippocras at the end of banquets. They were favorite snacks and after dinner sweets from the times of Edward III of England through the Elizabethan period when the Royal Courts maintained the Wafery as a separate department from the Bakery. It could be a room near the hall or in a separate building. Apprentices of guild members sold them on the streets from the 13th C until the 1920’s in most European countries. Today Spanish eat wafer rolls which are are rolled and baked to accompany ice cream and puddings. 2. gum or flour and water used to seal envelopes and documents. This was colored to prevent people from eating it. 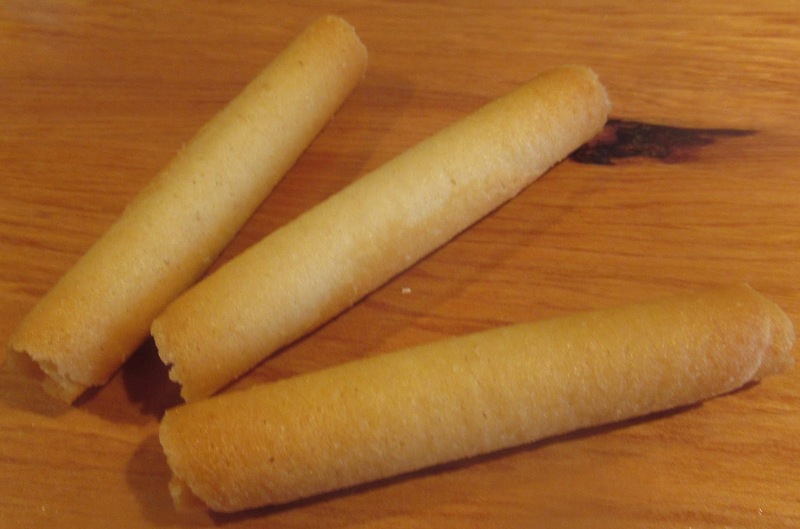 See blog title “Combinan,” published May 13, 2013, for Nola’s recipe for wafers.